A dull Marks & Spencer lorry has been transformed into an amazing little house – and it’s now for sale. Iftikhar Azam converted the lorry into his home when he found himself in a personal rut. 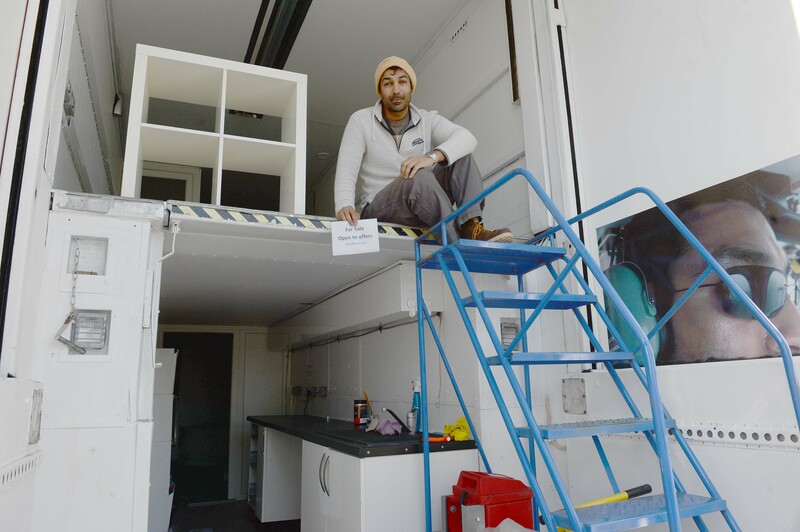 He spent £3,500 on the lorry itself, and over six months, spent £7,000 on renovations. It now has two bedrooms, two bathrooms, a kitchen, built-in appliances, and a lift. But the 43-year-old sparked a bit of a row from neighbours when he moved the lorry into his mum’s front garden in Sheldon. He has now been ordered by the council to remove the ‘eyesore’ or face court action. So he’s now selling it for the – very reasonable – price of £2,000. I think it looks good. I did it up to a decent standard so I could live in it when I was looking for a home. I want to sell it for £2,000 because otherwise the council will tow it away and put the charge, with costs, onto my mother’s property. I’m looking for someone who can make good use of it. 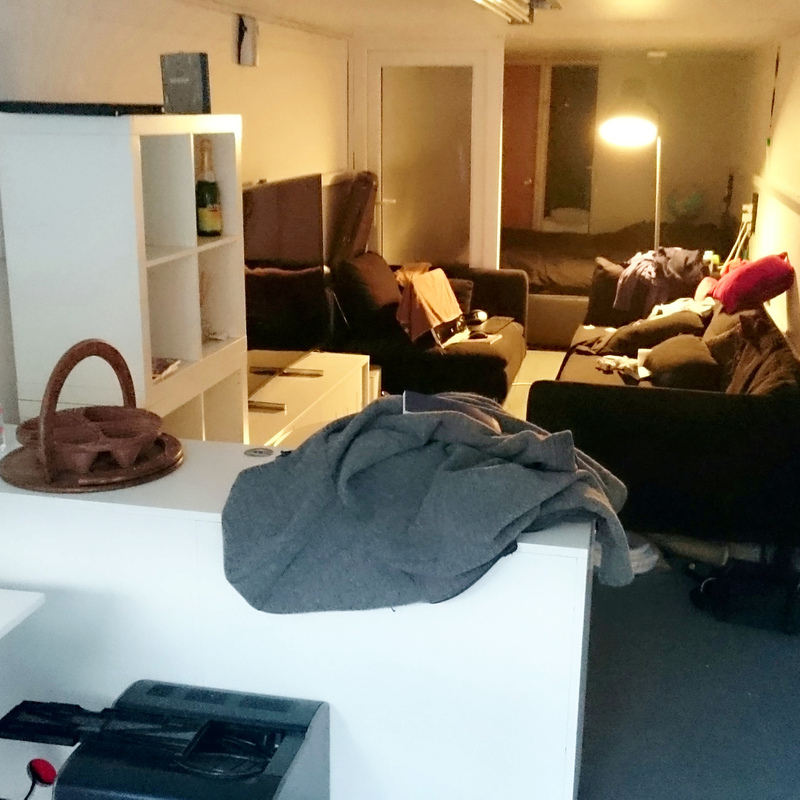 I’m going to miss it – it was like living in a spaceship – but I’m now in a comfortable location. It suited my purpose and I want to offload it. But while the lorry may be big and out-of-place for a quiet suburb, it would definitely suit someone looking to park it in a less populated area. 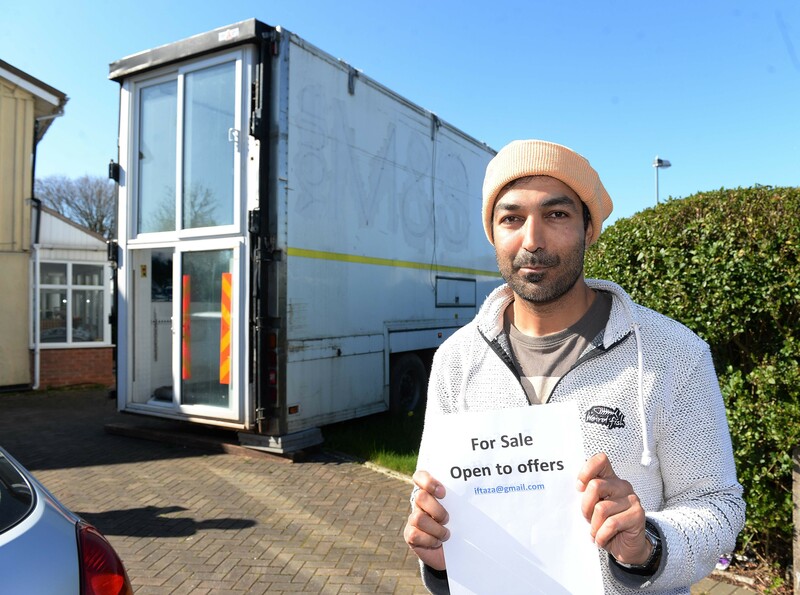 If you’re someone who can make good use of it – like Iftikhar wants – this lorry may just be for you.